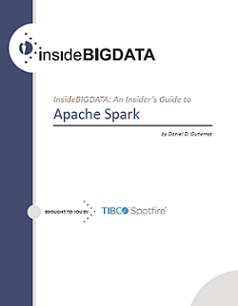 I’d like to announce my new technology guide – An Insider’s Guide to Apache Spark on behalf of insideBIGDATA and sponsored by industry analytics leader TIBCO. The guide is a useful new resource directed toward enterprise thought leaders who wish to gain strategic insights into this exciting new computing framework. As one of the most exciting and widely adopted open-source projects, Apache Spark in-memory clusters are driving new opportunities for application development as well as increased intake of IT infrastructure. You can download my new Spark guide HERE. 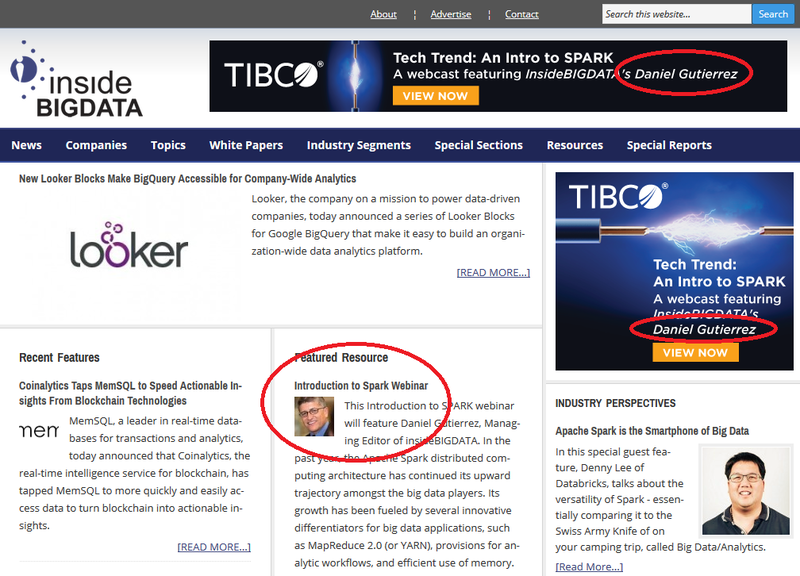 I’m also taking part in an upcoming TIBCO webinar on Nov. 17 at 1:30pm ET. Click HERE to register.